Who can benefit from Mevlana Exchange Programme? The students registered in formal education programmes at higher education institutions in Turkey (on condition that the higher education institutions signed a bilateral Mevlana Exchange Protocol) may benefit from Mevlana Exchange Programme. 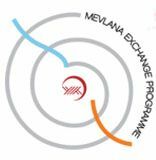 Additionally, all academic staffs who work in a national or foreign higher education institution, on condition that the higher education institutions signed a bilateral Mevlana Exchange Protocol, may benefit from Mevlana Exchange Programme. In order to be a Mevlana Exchange Programme student - The students must be studying at associate degree, bachelor degree, master degree or phd degree of higher education programmes - Grade point average (GPA) of associate degree and undergraduate students must be at least 2,5 on a four point scale. - Grade point average (GPA) of graduate students (MA, PhD) must be at least 3.00 on a four point scale. - 50% language score + 50% GPA o The students studying in their first year at associate or bachelor degree and the students of preparation classes and scientific preparation programmes of graduate degrees can not participate in this programme at their first semester. How should a student, who has the requirements, can apply to the Mevlana Exchange Programme? The students may apply to the Mevlana Exchange Programme unit of his/her university after filling the required forms properly. How many times and how long can we participate in Mevlana Exchange Programme? Students may study abroad for one (minimum) or two (maximum) semesters. Semester periods may be different considering the education systems but the total exchange period can not exceed one academic year. Academic staffs also may participate in Mevlana Exchange Programme. Academic staff may lecture abroad from one week (minimum) to three months (maximum). Do students have to pay any tuition fee when they participate in Mevlana Exchange Programme? Do the students who participate in the programme repeat the courses/semesters taken at the host institution? As the course(s) to be taken in the host institution are officially agreed to be counted in advance within the Learning Protocol, the students do not repeat any courses/semesters when they return. Mevlana Exchange Programme students continue to take their other scholarships and grants in their home countries and they have to do registration in their home institutions. They pay tuition fee to their home institution if they are supposed to and they do not pay any other tuition fee to the host institution. The scholarship amount to be paid to the Mevlana Exchange students differs according to the life standards of the country of the host institution. Within the context of Mevlana Exchange Programme, the programme students can be paid up to three times of the amount that is monthly paid to bachelor degree students according to the Law no.5102 on Granting Scholarship and Loan to the Higher Education Students and in the ratios determined by Council of Higher Education Executive Board. Incoming students from other countries to Turkish higher education institutions are granted according to the ratios determined by Council of Higher Education Executive Board. In terms of the scholarships that will be paid to the students, 70% of the scholarship amount is paid monthly. For the student's remaining grant payment, the ratio of total credits of the succeeded courses to the courses that the student is obliged to take as obligatory courses will be considered. In the case of insufficiency of the funds for Mevlana Exchange Programme, providing the correspondence with other principles, student mobility can be carried out by other scholarships or without scholarship. Within the scope of Mevlana Exchange Programme, travel allowance stated in the Travel Expense Law no.6245 may be paid to incoming and outgoing academic staff while travel allowance and additional course fees may be paid as stated in Travel Expense Law no.6245 and article 10 of the Law no.2547. CHE Executive Board is authorized to determine additional course fees due to the countries and titles.